Educated through the Director’s program at the Polish National Film School in Lodz. 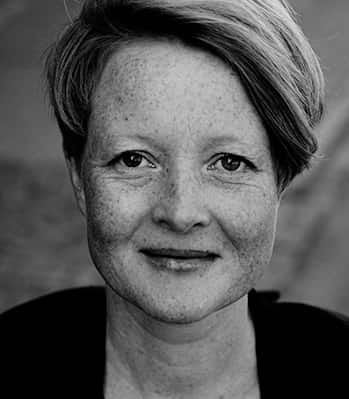 Her film On Suffocation won the Swedish Academy Award (Guldbagge) for Best Short Film in 2014. The film had its world premiere at the Sundance Film Festival, where her film’s Peace Talk and Birthday also screened. Her films have been called realistic with elements of surrealism and absurdism. Shams, a young woman with integrity, searches for a home. She is in love and finds herself in a new place, but stays loyal to her old life that she has left. Since society does not allow room for both worlds to co-exist, she is alienated. Her struggle is fascinating and her situation sadly too common in real life. That's why we had to make the film. 2013 On Suffocation, Short; 2010 Birthday,Feature; 2008 Brotherhood, Doc; 2007 At The End Of The Street, Feature; 2004 Peace Talk, Feature; 2003 Angel Schmangel, Doc.